Homeowners are increasingly concerned about contaminants in their water supply that may affect health or impact taste and odor. A Point of Use (POU) consumer filtration water treatment filter is the last line of defense for removing harmful contaminants from drinking water. By choosing a POU filtration solution, you will not only be drinking safer and better tasting water, but you will save money and help to preserve the environment compared to drinking bottled water. 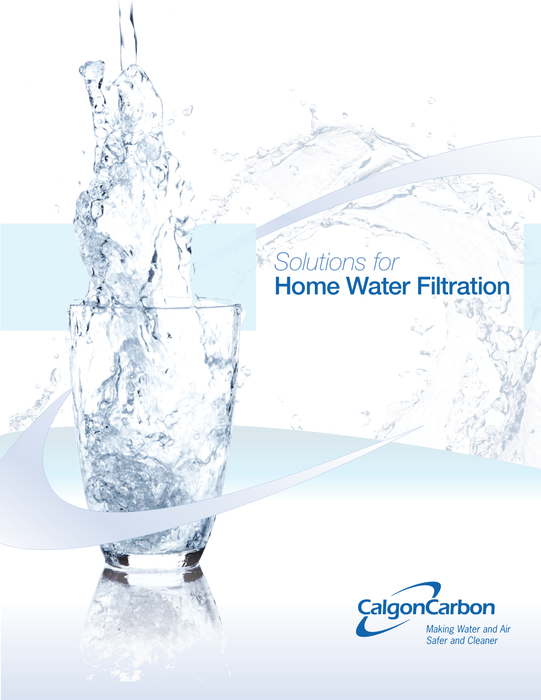 Calgon Carbon’s activated carbons and ion exchange resins used in consumer filtration have been designed and optimized for use in pitcher and carbon block for refrigerators and under-the-sink filters. Our high purity, high quality carbon and resin products for consumer filtration provide customers with confidence in the performance of their filters. Our consumer filtration carbons have been certified to meet the rigorous and comprehensive NSF-42/Prop-65 Standards demonstrating the quality, reliability and performance of our products. Calgon Carbon is proud to offer a variety of high quality, cost effective solutions for consumer filtration applications. Activated carbons reduced to particles relatively larger than powdered are part of effective treatments to help ensure that water is contaminant-, taste- and odor-free. Activated carbons reduced to small particles to form a powder are a part of effective treatments to help ensure that water is contaminant-, taste- and odor-free. Ion exchange technology removes the perchlorate, nitrate and hexavalent chromium from water.